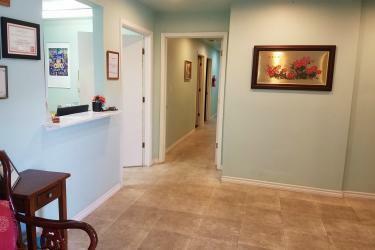 Pine Mountain Chinese Acupuncture and Herbal Clinic was founded in 2001 and is located at the Medical Science Center at 711 West 38th Street, Suite G-3 in Austin, Texas. In our clinic, we apply various treatment modalities of Chinese medicine, including acupuncture, acupuncture with electric stimulation, cupping, acupressure, and moxibustion. Our friendly clinic is headed by Dr. Ziyang Zhou, L.Ac., MD (China), an acupuncturist and herbalist with extensive training and nearly three decades of experience working with Traditional Chinese Medicine in China and the United States. Patients feel comfortable in his care because of his knowledge, qualifications, and a strong ability to communicate clearly and receptively. He will assess your individual situation and conditions carefully to provide a comprehensive diagnosis that encourages optimal healing and recovery for your unique health needs and requirements. Because of Dr. Zhou’s training experience with his grandfather, we use moxibustion more often and more effectively than many other acupuncturists. The clinic has one designated room with separate ventilation to alleviate the concern of smoke and the smell of moxibustion. 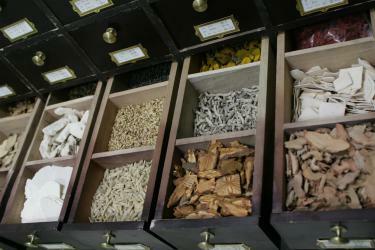 Our clinic has a full pharmacy of Chinese herbal medicine. We have more than 300 commonly used herbs in both raw form and powder/granule form, which are utilized to make customized herb formulas. 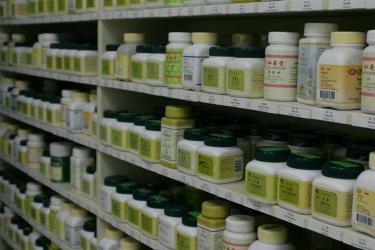 Our pharmacy also carries a wide variety of Chinese patent herbs, in forms of pill, tablet, tincture, capsule, plaster, salve, etc. 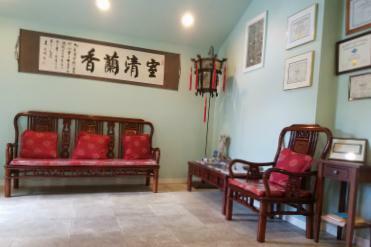 If you are interested in authentic Chinese Acupuncture, please visit us at Pine Mountain Chinese Acupuncture and Herb Clinic in vibrant Austin, TX. As you walk in, you’ll notice the soothing and tranquil atmosphere of this healing environment. We are always welcoming new faces, and you’ll see why there is no better place for treatment in the Austin area than our clean and airy facility. Set up an appointment today for acupuncture or an herbal consultation. If you have any questions about any of the services offered, we’d be delighted to answer them for you. The office is open every day except Sundays and Tuesdays. Dr. Ziyang Zhou, L.Ac., MD (China), is a licensed Acupuncturist and Herbalist, serving Austin, Texas and the surrounding areas through Pine Mountain Chinese Acupuncture and Herb Clinic. We use Traditional Chinese Medicine (TCM) to treat each unique patient as a whole, with meticulous individual diagnosis, to maximize the healing process. Our facility is a quiet place of serenity where your care is our first concern. We welcome new patients and patient referrals. We look forward to getting to know you.